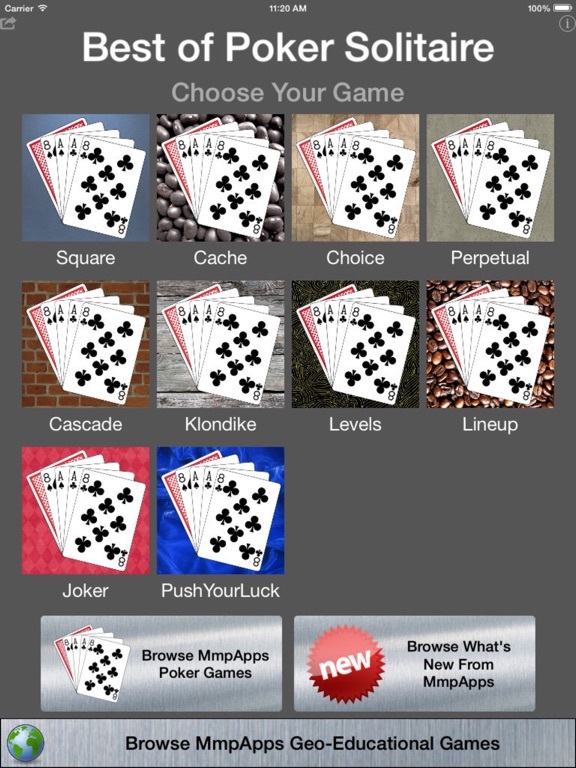 MmpApps has over 40 Poker themed apps. This collection bundles the 11 most popular in a single convenient package. POKER SQUARE: The classic poker solitaire game where you place cards in a 5x5 grid and each row and each column is scored as a separate poker hand. 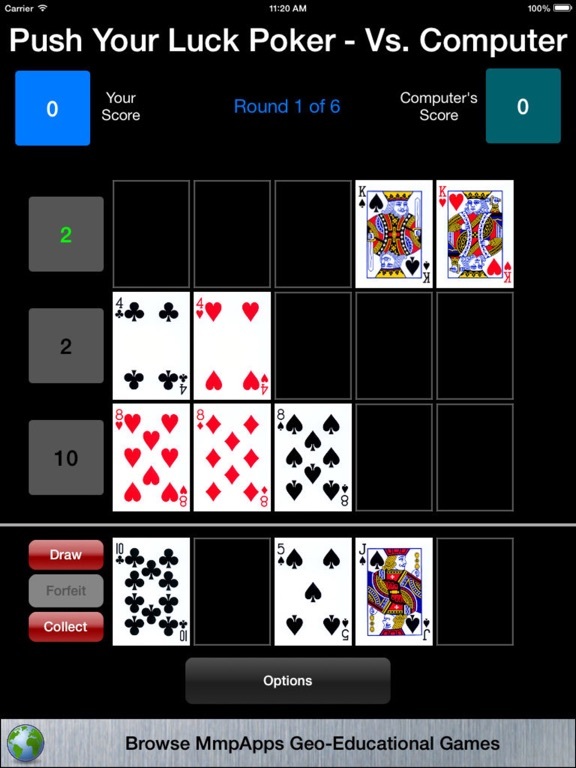 Poker Square can be played in four variants - Stud, Draw, Texas, and (iPad only) Omaha. 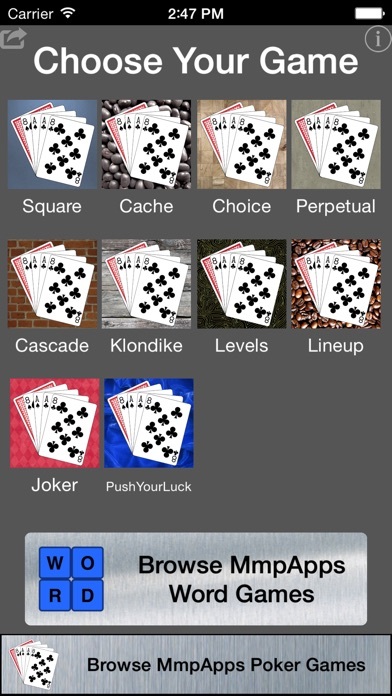 POKER CACHE: A variant of Poker square where you have 4 cache spots where you can keep cards for later play. Poker Cache can be played in 4 variants - Stud, Wild Stud, and Draw. POKER CHOICE: A variant of Poker Square where you can choose the next card to play from a set of five options. Poker Choice can be played in three variants: Stud, Wild Stud, and Draw. 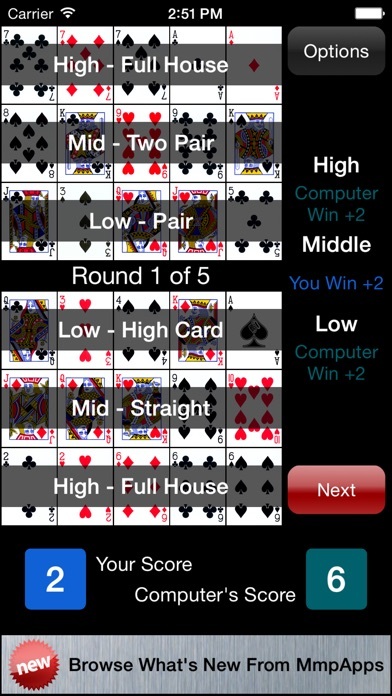 PUSH YOUR LUCK POKER - Draw 5 cards and distribute any or all of them as you like into 3 separate hands. 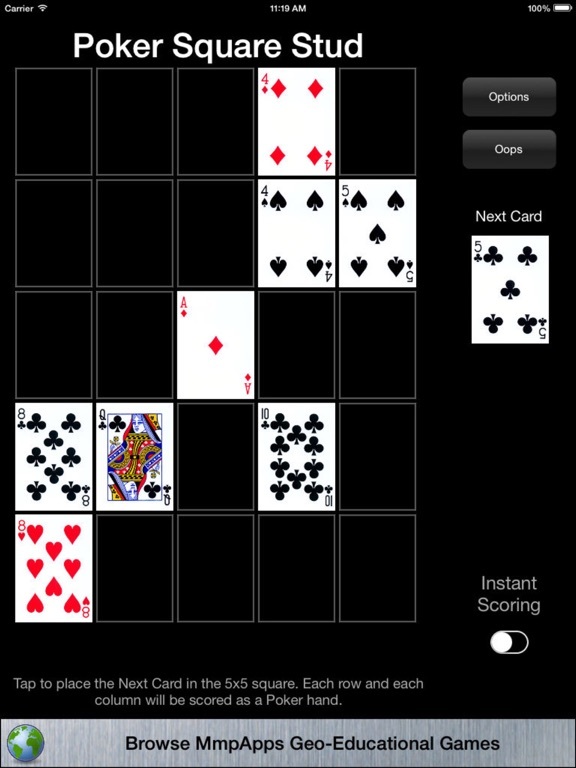 Draw as many times as you like, but the total score must increase or you give your hands to your opponent. POKER JOKER - You draw sets of cards to make the most valuable poker hands possible but try not to get jokered. If you draw three joker cards you lose your turn. 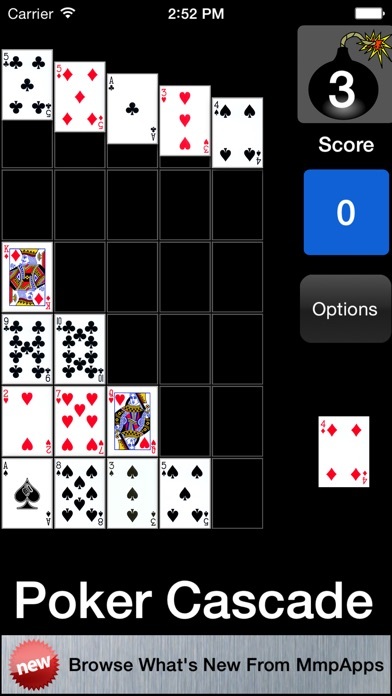 PERPETUAL POKER - Pick 5-card poker hands from a 6x6 grid. After the hand scores as a standard Poker Hand it will be removed from the board and the remaining cards and replacement cards will fall into place and the game continues. POKER WATERFALL - Place cards one-at-a-time in the top-most row. When that row is full it will fall into place. Any rows filled with 5 cards are scored. Cards that contribute to a score (like a pair) will then disappear and the remaining cards will fall into place. If any rows are complete then they will score in a cascading effect. If a row is completed with no score (no pair or better) then that row is BLOCKED. POKER KLONDIKE - Similar to traditional Klondike solitaire with a poker twist. 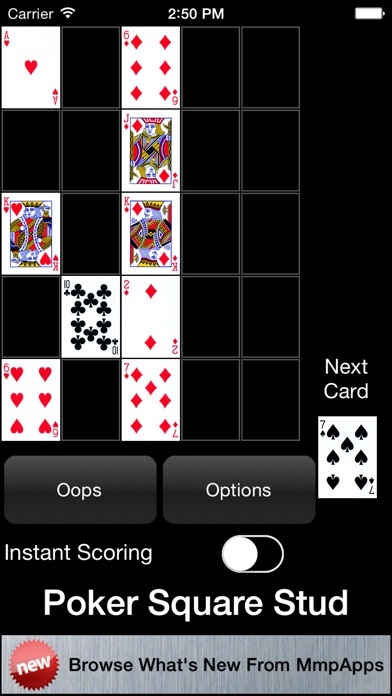 POKER LEVELS - Each level you pick 5-card Poker Hands from a 7x7 grid. 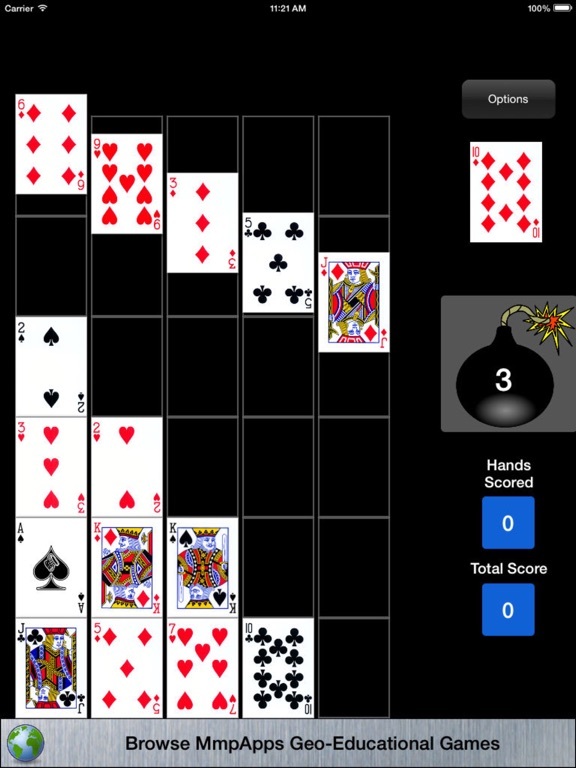 If the hands scores a pair-or-better the cards will stay active the next level. If the hand fails to score it will be blocked the next level. 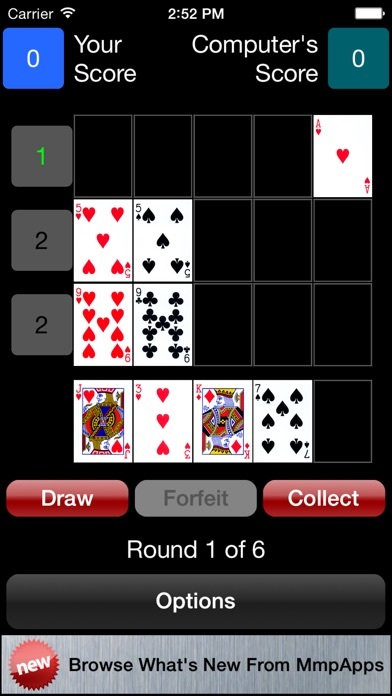 POKER LINEUP - Form three hands out of 15 cards and try to outrank your opponent’s hands. 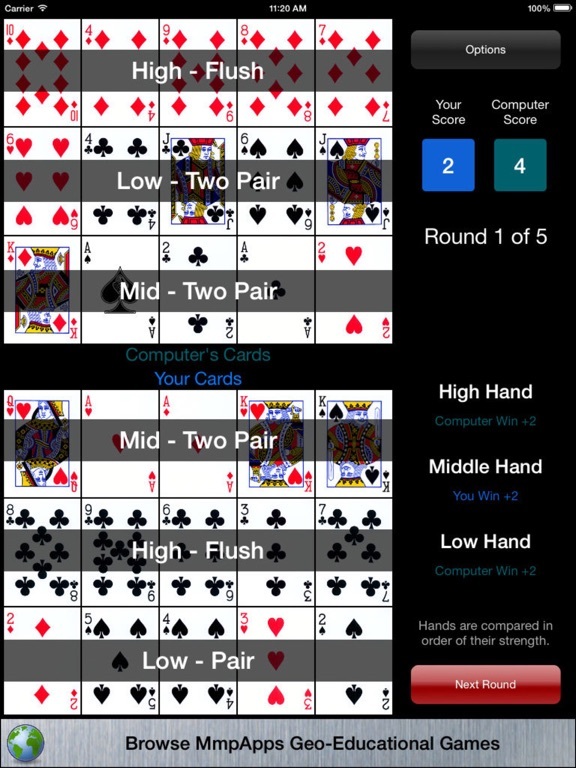 *NEW* POKER BLEND - Combine adjacent cards to form the best poker hands.